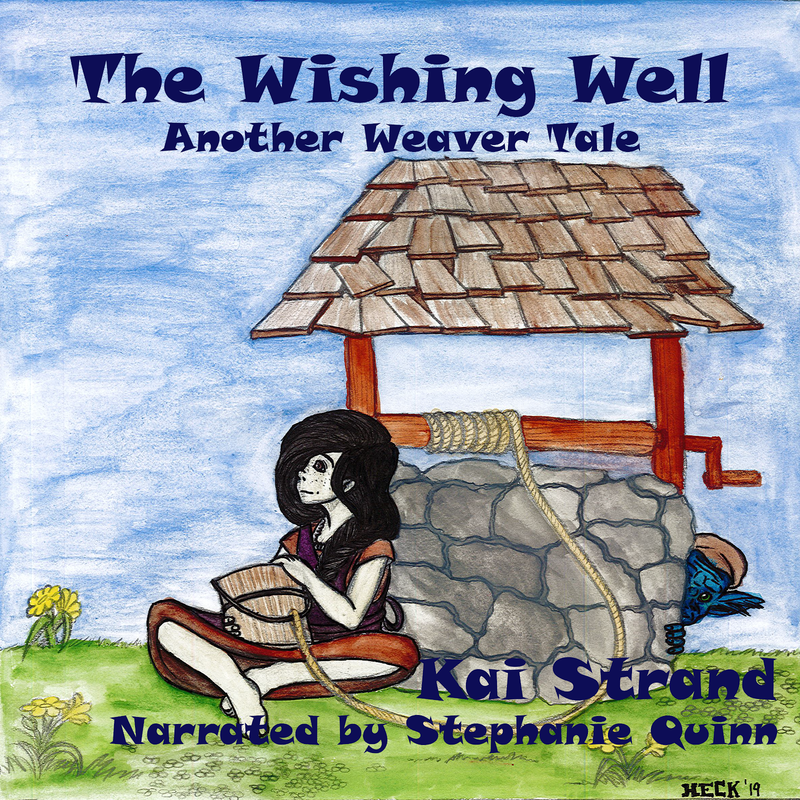 Authors, Kai Strand & LA Dragoni: Do Audiobooks Change Your Reading Experience? So I’ve had this mind itch for a while now. I’ll be listening to a book and maybe I’m completely immersed in it, wishing I could just shut off life until I’ve listened to each and every word – or I’m huffing and puffing in frustration over…something. Anything. And in both cases it’ll cross my mind, Would I like (or dislike) this book so much if I were reading it inside my head? Narrators can make all the difference in the world. I’ve fallen in crush with narrators (not always the character). The two that come to mind are Steven Kaplan; Legend/Prodigy/Champion by Marie Lu, The Future of Us by Jay Asher & Carolyn Mackler and Sunil Malhotra; Eleanor & Park by Rainbow Rowell. I’ve absolutely loved listening to KateSimses in Matched and Crossed by Ally Condie. I think her voice really fit the character. However, there seems to be that other side of the coin thing. ReneeRaudman, narrator for I’d Tell You I Love You, But Then I’d have to Kill You by Ally Carter just put up my hackles. Looking at her extensive resume, I’m clearly alone in this one, but when I tried to continue the series in print format I heard that voice in my head and had to bail. I couldn’t even finish Paranormalcy by Kiersten White because of Emily Eden’s voice. Another opinion that is clearly my own, because she’s recorded plenty of other works. Along the lines of Ms. Eden’s voice, some narrators are too recognizable. I love Jim Dale, but boy can I name that narrator in one note. Or a more unfortunate incident after listening to a book for grown-ups that had adult situations (hey, I’m over 18 – I can! ), I then ran into the same narrator in a young adult book and it was kind of creepy. I kept expecting those adult situations that really wouldn’t have been appropriate in the story line – and never did play out. But, the voice set the wrong tone for me and it was difficult to get past. If only I'd listened to them in the reverse order - it would have been different, right? There is no way to go back and experience a book or a character in print after you’ve listened to an audiobook. It's like reading the book after you’ve seen the movie, Harry Potter will always be Dan Radcliff and no longer the boy I envisioned ßwhich I don’t even remember anymore, btw! So having a good fit—voice, attitude, interpretation—is crucial. What do you think? Does listening to an audiobook change the experience? Have there been narrators who make or break a book/series for you? I've never actually used an audiobook before. I imagine the experience would be very different. I'm not sure if I could listen to someone else's voice read a story. I've just now had my first experience with audio books. I've listened to the first CD of Divergent. I don't remember who the narrator is but it sounds okay. We'll see after I've listened to the next ten hours. I'm trying to save my eyes that are getting really bad. Hope this works. It can take a little getting used to, I think. But I suspect you'll be very happy when you've grown accustom. I'll admit that I don't listen to too many audiobooks, though when I do, I enjoy them. The only one that comes to mind if Night Film (I have no idea who the narrator is), and I adore the voices the guy does. That's been awesome. But I can completely imagine how the person reading would set the tone--and make or break the experience. Yes, it does make or break. I used to see that some book bloggers reviewed audio books separately from the print book. Now I understand why. The robotic speak of text to speech on my 2nd gen Kindle drives me crazy. I tried it once, but missed hearing the proper inflections. However, I'm all for multitasking.